When hockey players meet out on the ice for the first time, they never know where that brief encounter may someday take them. 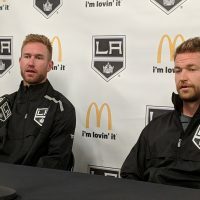 For Tyler Toffoli, running into Ethan Moreau this summer has eventually brought the two to an unexpected place – not only teammates, but now linemates. 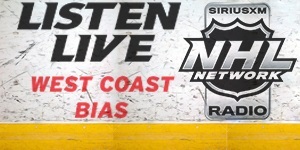 Tonight in Phoenix, the grizzled vet and the wide-eyed kid will play wing on a line centered by Trevor Lewis. When Toffoli thinks back to his first encounter with Moreau, he was immediately impressed with the former Oilers captain. 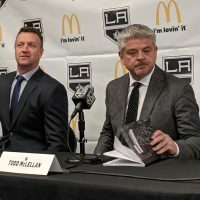 Sunday evening, Kings coach Terry Murray shared many positive observations about the little things Toffoli has been doing in camp so far. For now, Toffoli says he’s trying to keep his head down and his eye on the prize. 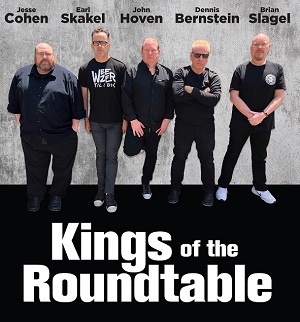 Of course, it didn’t really matter if he was selected to play for the ‘home’ Kings or the ‘road’ Kings in tonight’s split-squad series. Toffoli just wants to be in the mix. “For me personally, my emotions are going to be going and I’m going to be so excited to play, I don’t really think it maters where I’m playing,” he said. It will matter on Sunday though. He’s hoping to be at Staples Center for the Kings next exhibition game against the Anaheim Ducks. The next step towards that goal will take place in Arizona later tonight. 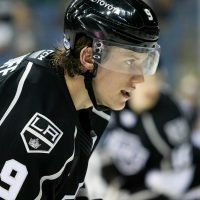 Toffoli was selected by the Kings in the second round of the 2010 NHL Draft. 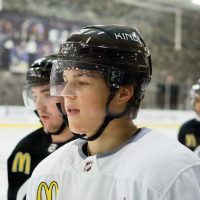 He currently sits third overall in the MayorsManor rankings of the Kings top ten prospects. 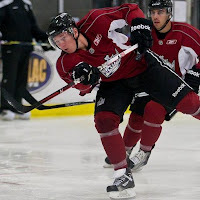 Last season, he scored 57 goals – tops in junior hockey – and won the OHL scoring title.